Why We Have Been The Best Choice! This summer, the popular Tulsa Townies automated bicycle sharing program will feature three newly upgraded bicycle access stations at their current locations along Tulsa’s River Parks. 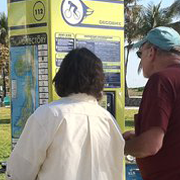 These access stations are located along Riverside Drive at 19th, 41st and 96th Streets. Installation of the new system is scheduled to begin in late June or early July. 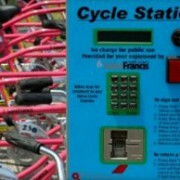 Founded in 2007 by Saint Francis Health System and Tulsa Townies, LLC, the Tulsa Townies program provides rental stations for its distinctive pink bicycles for River Parks visitors ages 18 years or older. 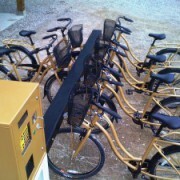 With a $10 credit card deposit, use of the Tulsa Townies is free as long as the bicycles are returned within 24-hours. The improved automated rental stations will be camera-monitored, solar powered and will also include new radio frequency identification (RFID) recognition technology. The maintenance regimen will also be upgraded. 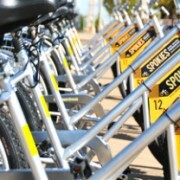 The new technology updates will also allow users of the Tulsa Townies the ability to visit the website www.tulsa-townies.com from any handheld or personal computer and find real time availability of the bicycles. The technology for the update is provided by SandVault Group of Vancouver, British Columbia and the specialized bikes are from Worksman of New York City. 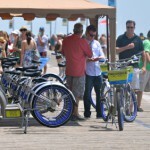 The technology is similar to that used successfully on a large scale in Miami Beach, Florida (www.decobike.com) as well as in Golden, British Columbia. “Tulsa has really been a trendsetter”, said Rick Murray, President of SandVault. 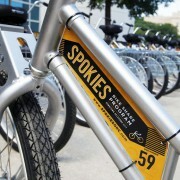 “The original Tulsa Townies program in the River Parks was the first fully automated bike share system in North America. It was also the first bike share anywhere to use solar power and GPRS communication to allow freedom of location. At SandVault we are delighted to have this opportunity to keep the Tulsa Townies program at the leading edge of bike share technology”, he said. Copyright © 2014 SandVault Group Global Solutions Corp.. All rights reserved.